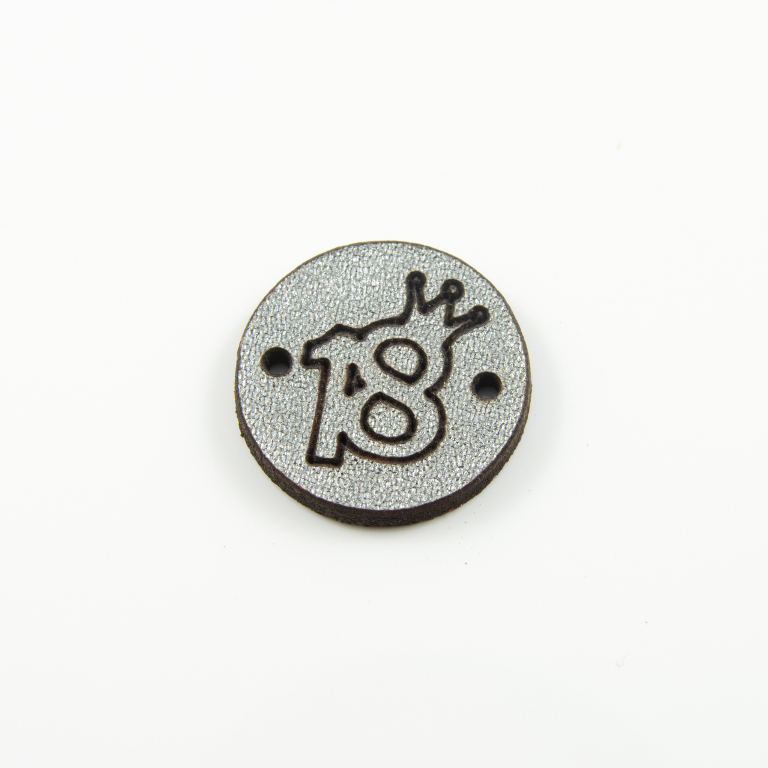 Leather "18" with crown in silver color with two connectors. Ideal for bracelet or charm decoration. Diameter 1.8cm.